Winston Churchill by Davidoff | Chicago's Pipe, Cigar & Tobacco Store | Iwan Ries & Co. There is only one Winston Churchill. There is only one cigar to bear his name. Davidoff brings you an exceptional new Winston Churchill cigar a blend as complex as the man himself. A range of the finest cigars inspired by the iconic aficionado, each celebrating a different aspect of his richly complex character. Our Master Blenders have embraced and accomplished the challenge to craft and blend a range of exceptional cigars as uniquely diverse in character as the person who inspired them. Like Sir Winston, they are a rich mixture of fine qualities drawing on and harmonising the tobaccos of Nicaragua, Mexico, Ecuador and the Dominican Republic. For in our pursuit of the finest blend of cigars, in the words of the great man himself, we will never, never, never give up. 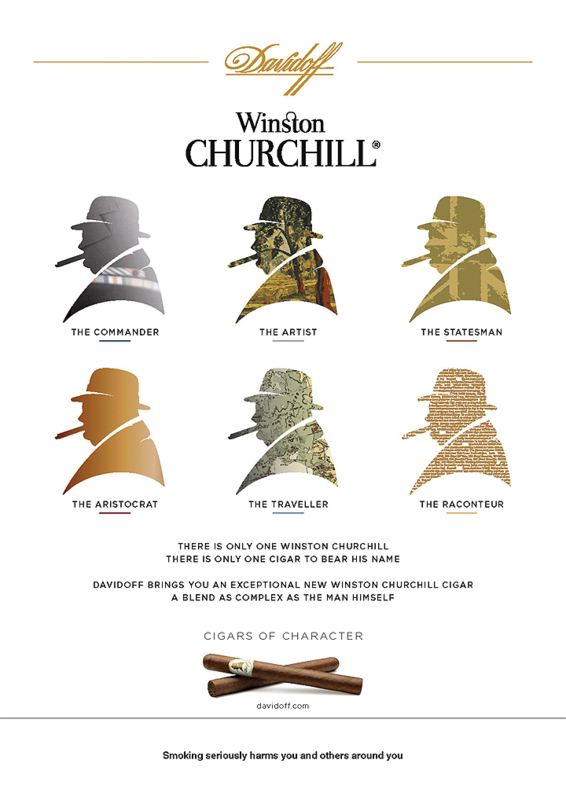 Winston Churchill – Cigars of Character.